As we ring in the New Year at Phillips Charitable Foundation, we’re excited to announce the categories for our 2019 Mission-Focused Competitive Grants. While all of our grants fall within our three funding priorities of humanitarianism, education, and arts and culture, the Mission-Focused Grants differ in one major way. For these grants, the focus areas are more targeted and specific. programs that enhance the quality of life for those with special needs and disabilities helping them to reach their full potential. Each of these categories aligns with our mission of supporting charitable organizations that provide a genuine impact on the lives of others by solving problems, removing obstacles, and leading to lasting solutions. Workforce development programs help both families and businesses and are one of our focus areas for 2019. Quality programs offer the potential to improve economic opportunities and quality of life, solving problems for individuals and families long into the future. The benefits are multi-generational. Likewise, many employers in a range of industries and sectors are struggling to find skilled workers to fill current job openings and grow their business. Our specific focus will be on exemplary programs that help the most vulnerable and underserved to attain meaningful, family-sustaining jobs with promising career paths. We’re also interested in programs with metrics to showcase their long-term success. Literacy programs are another area of focus for the 2019 Mission-Focused grants. Approximately 14% of U.S. adults cannot read and roughly 20 to 23% are limited to reading at the basic or below proficiency levels. Literacy permeates all areas of life including social skills, health, and economic status. It also tends to pass from generation to generation. The children of parents with low literacy skills are more likely to live in poverty as adults and five times more likely to drop out of school. At Phillips Charitable Foundation we cannot solve the problem of literacy in the U.S., but it’s a problem we can help to resolve for some. Like workforce development programs, solving the problem of illiteracy for even one person opens up a world of opportunity and has a multi-generational impact. We are reviewing multiple types of literacy programs, many of them focused on those with developmental challenges that contribute to the problem. 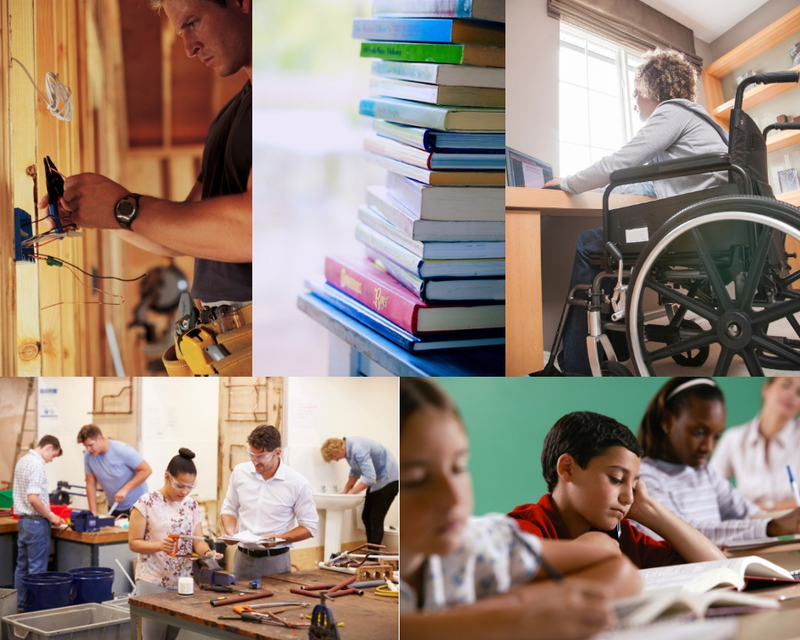 Supporting organizations that serve those with special needs and disabilities is our third interest for 2019 Mission-Focused grants. In 2018 the CDC reported that one in four U.S. adults have a disability that impacts major life activities. It is a large and diverse community. This Mission-Focus area is multi-faceted and will often overlap with our interest in workforce development, literacy, and other grant-giving endeavors. We are always looking for ways to provide long-term solutions for individuals and families to reach their full potential, so it makes sense to focus on programs that support those with special needs and challenges. We are especially interested in supporting organizations that help people with enduring intellectual, development, and/or physical disabilities to identify and enhance their abilities, to live as independently as desired and possible, and to be included in the local community. We have a lot of work ahead of us and are excited about the possibilities. There are so many organizations doing extraordinary work within our focus areas. As with our other grant-giving areas, Phillips Charitable Foundation carefully curates and selects prospective grantees. This process has already started for our new Mission-Focused grants. Although we do not accept unsolicited grant applications, we do accept Letters of Introduction. If you believe that your nonprofit has a program that may fit within one of our giving areas, you may fill out our Letter of Introduction here. NextScholastic vs Professional Musical Instruments; is it Worth the Investment?